***UPDATE*** The suspension has ended, and packages are once again shipping to Canada as of early December 2018. However, delays caused by the back up may severely delay delivery, with some estimates saying packages may take til March 2019 to arrive. 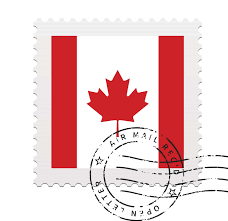 Due to an ongoing postal strike in Canada, Japan Post has suspended shipments of all services (EMS, airmail, and SAL) to Canada starting November 15th, 2018. While the suspension is temporary, it is unclear when it will be lifted. Unfortunately I do not have access to any other shipping services to Canada (such as DHL, FEDEX, or other private shippers) so until the strike is resolved, there is no way for me to get packages to Canada. This means shipments will likely not make it by Christmas for many Canadian shoppers. There is also a chance packages shipped to Canada may be returned. I will continue to offer shopping to Canadian shoppers throughout the suspension, however this means I may have to store a lot of packages in already limited space. I ask for the cooperation of shoppers in other countries to ensure their packages can be shipped promptly to accommodate Canadian shoppers in the meantime.